The tech "Venny" was very professional, knowledgable, with great customer service. I was very comfortable with his recommendation. He nailed the problem with my unit and corrected it in a short time. Thanks Venny! The technician was very courteous and explained everything to me. 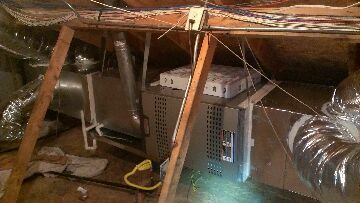 I am running a service call in Sachse Texas. I found a bad dual run cap at the outdoor unit. it caused the fan to run slow and backwards. I had the replacement cap in my truck. and now the homeowners are happy . we in stalled a complete new system for the 2nd floor on Monday and I came out today to make sure the home owners are enjoying the 68? temperature .